Having spent my planned rest day yesterday sweating and cranking up hills, I decided I'd really take it easy today. This was partly out of necessity. My next destination was Channel Islands National Park, and I needed to be at the ferry pier by 8 a.m. the next day in Ventura, a city just west of Los Angeles. I was also planning to drive along the Pacific Coast Highway through Big Sur and knew that the windy coastal roads would make for slow progress. I had almost 400 miles ahead of me. It would be a long day. But that didn't mean I wouldn't run. I'd stayed out late last night, catching up with friends, so it would've been nice to sleep in and just hit the road. But I chose to wake up at 5:30 a.m. and make my way over to Fort Mason to catch a workout, a gorgeous sunrise, and breakfast with the November Project SF tribe. November Project has been an amazing part of my life over the past few years. I started working out with the Boston tribe, and then ended up with the Baltimore tribe this past year. The workouts are always great, but the camaraderie and community--AKA the people--is what makes NP so special. I felt completely at home during the workout, and had one of the coleaders, Paddy Ó Laoghaire, to thank for being so welcoming. After returning to my friends' place to shower, I headed over to the Mission to visit Clever, a company that my friend, Dan Carroll, co-founded a few years ago. Clever has been revolutionizing the way teachers, schools, and school districts manage student data. In fact, just that morning, the New York Times had published a piece on the company and, as I arrived at the (gorgeous new) office, Dan was waiting in the reception area tapping out a Facebook post that shared the article. Dan gave me a tour of the office, and we chatted about the latest things Clever was pursuing and my trip. At 11, Dan had to leave for a meeting--and I needed to hit the road--so we parted ways. But not before I snagged a Clever t-shirt! It's always inspiring to learn more about people and organizations that are doing great things. Dan and the Clever crew are certainly in that category. I was glad I'd visited. 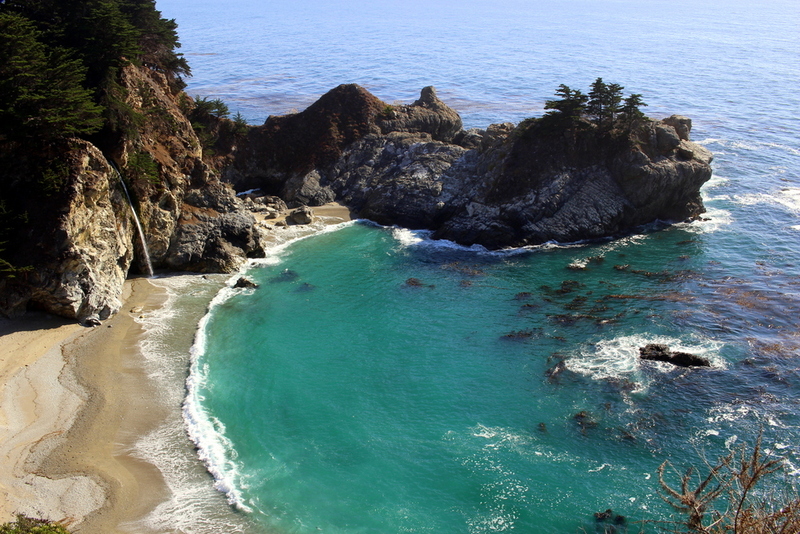 I hit the road for Big Sur. There have been several moments where the driving has been on par with the running. Today provided one of those moments. 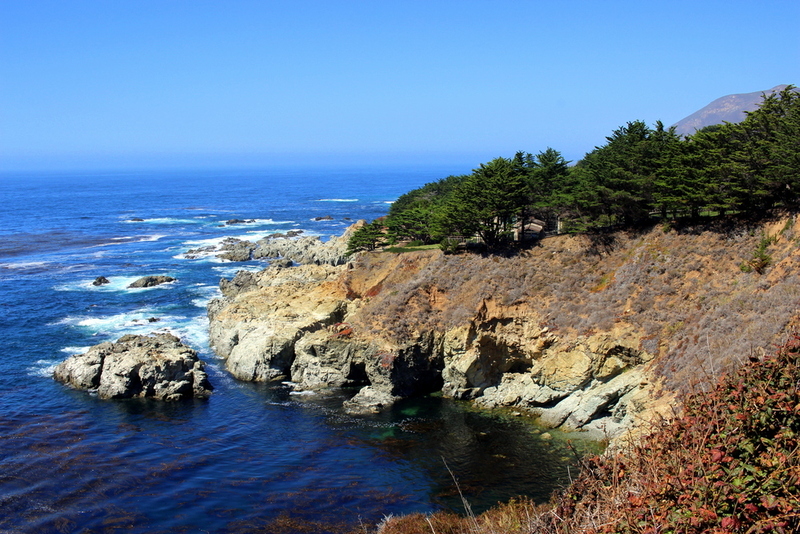 As I drove on the Pacific Coast Highway, on the cliffs high above the Pacific Ocean, I felt completely at peace. The drive took forever, but that was okay. I got to see the coast like this. Along the way, at Dan's recommendation, I stopped for a late lunch (AKA at 3:30 p.m.) at Nepenthe, a family-run restaurant built into the cliffs overlooking the coast. The Ambrosia Burger hit the spot, and the multiple glasses of iced tea gave me just the boost I needed to continue my drive. I continued, taking in the coastal beauty. I even saw wildlife along the way. I believe these are California sea lions, but they were enjoying an evening nap on the beach. Before I knew it, the sun had set. It was past 8 p.m., and I was just pulling into Santa Barbara, a coastal town a couple hours west of Los Angeles. I was pit-stopping here for the night in an Airbnb before heading to the Channel Islands the following morning. My hosts, Karen and John, were very kind, and directed me to Super Cucas Taqueria, which served up a phenomenal meal--exactly what I needed. I love ending a long day with a solid meal (as opposed to pasta and tuna, my standard camping fare). I demolished the plate and retired for the evening, eagerly anticipating what awaited me tomorrow--Channel Islands National Park.